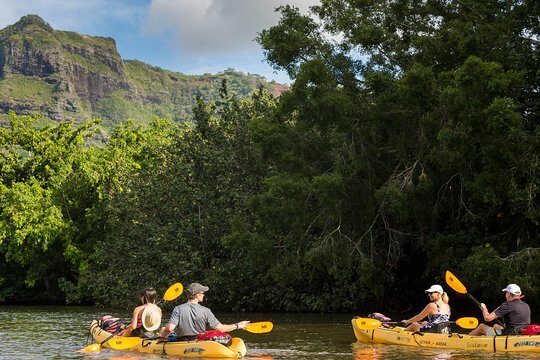 Experience Kauai’s sacred Wailua River by land and by water on this combo hiking and kayaking tour that’s easy enough even for beginners. A state-certified guide safely leads you through the trip’s two legs: a kayak trip down the river and a hike through tropical forest to a waterfall. Guide commentary about Wailua’s ancient history and legends along the way adds to the adventure. Considered one of the most sacred places on the island of Kauai, the Wailua River winds 20 miles (32 kilometers) through a lush landscape and past the sites of seven ancient temples. Make your way to the river launch point in Kapa’a and climb into a double, sit-on-top kayak. If you've never kayaked before, your certified guide will provide instruction. Learn about the Wailua's history and tropical ecosystem from your guide as you paddle for about 45 minutes at a leisurely pace. Disembark for a 1-mile (1.6-kilometer) hike through the tropical forest, observing native plant and animal species. 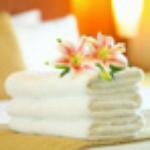 Stop at a gorgeous waterfall splashing into a natural pool from 200 feet (60 meters) above. Cool off with a swim here if you like, and recharge with a picnic lunch. The trail is really slippery! 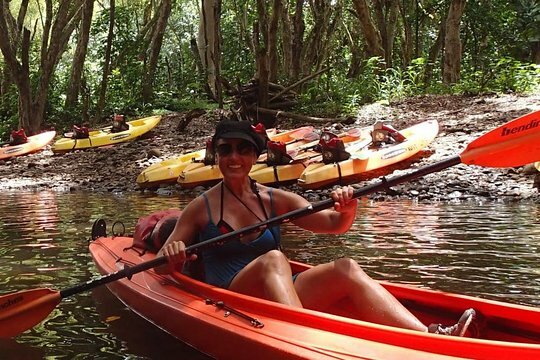 Get quick answers from Wailua River Kayak and Hike Adventure staff and past visitors. Does the 12:15pm start time make for a really hot paddle/hike in June? We are staying in Lihue so we want to factor in the drive and not be in a hurry to get to the North Shore if it's still a good paddle/hike at 12:15pm. Sorry I don’t know enough weather in Hawaii. Can we bring trekking poles along to help with hiking in mud to the falls?